A barn owl in the hand. 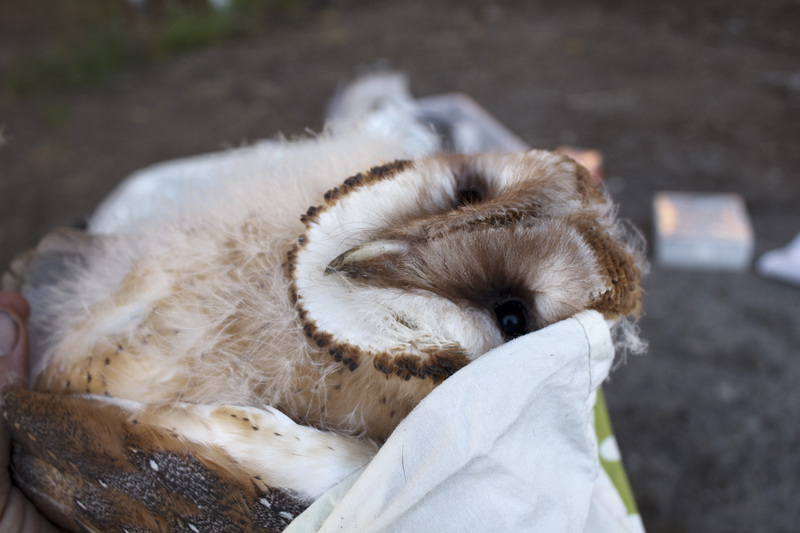 Was out with Sofi last night, to do Barn Owl nest checks (and some bleeding for rodenticide testing). The Barn Owls were in various stages of development, with only the first nest having owls of sufficient size for bloodwork. 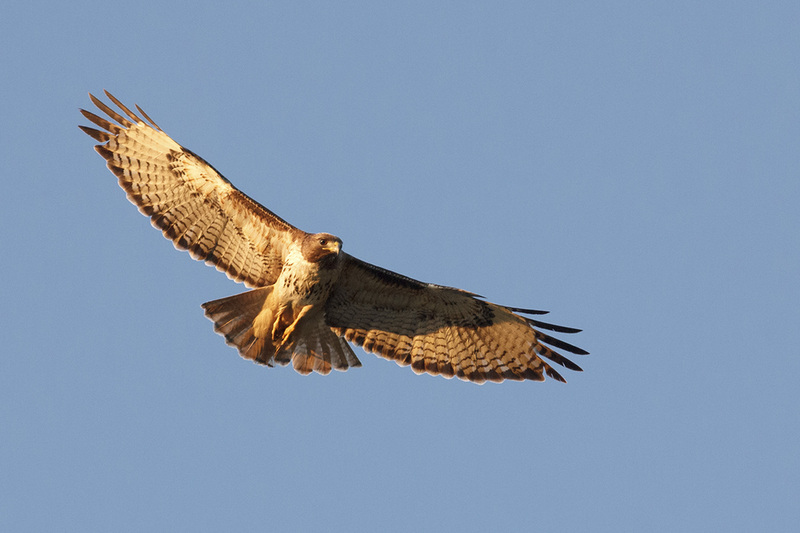 There was a Red-tailed Hawk nest nearby, where the parents only got anxious if we actually looked at them (they were fine if we did not pay attention to them). 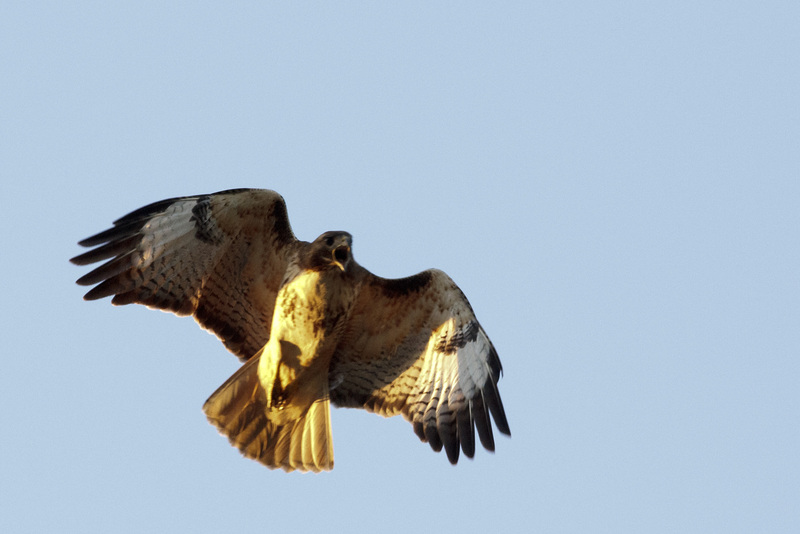 A gorgeous hawk in the evening light. 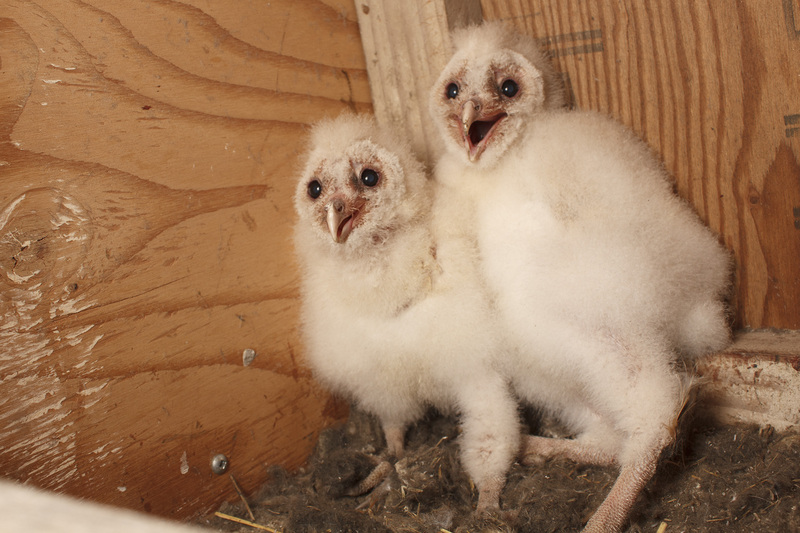 Some little Barn owlets, in their brand-new nest box! This entry was posted on June 6, 2015, in Uncategorized. Bookmark the permalink. ← Further coyote pup shots!